All the possible things under the sun were discussed..perhaps all the possible things under the moon…or the sky or the clouds..ooorrrr Whatever!!.. As we set out splishing splashing in the apartment compound…the drizzle began to splish-splash a bit harder too…. Just a glance at each other..and we knew an Umbrella walk would be the best walk ever!!.. 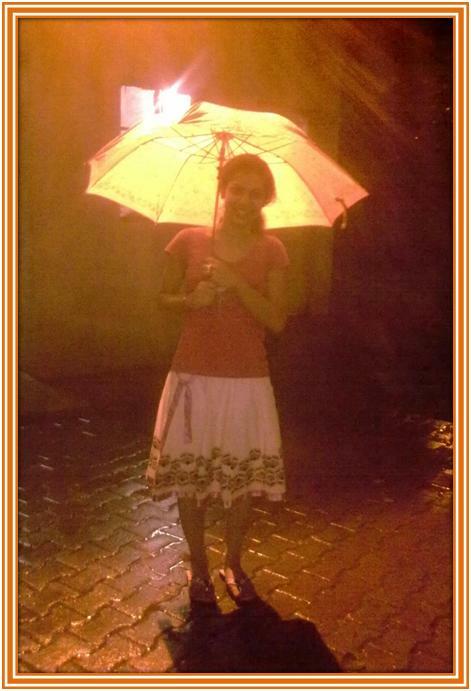 She had two umbrellas…we got them..and set out undeterred by the rain…. We took pictures of each other….less being captured in the cell and more of it into our hearts…. We repeated those never attempted promises that we had been prattling since September 2009…. Ya we would definitely go the Doll Museum..she had promised to take me there… and then there was a new Amusement park In Gurgaon…I would certainly take her there…. Jut having said so… felt indescribably great….we had lost sense of time…. I left her at her place in the first floor…Good byes were a bit easy now…. 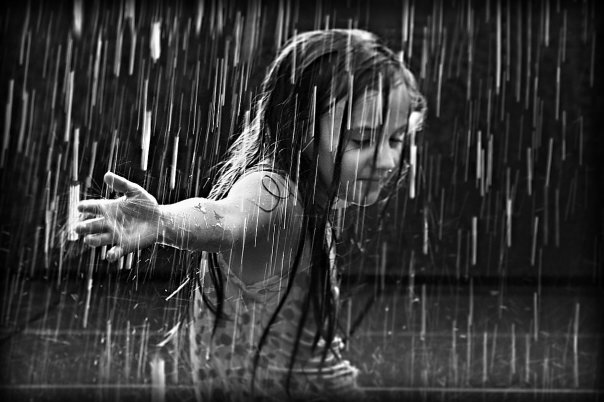 Let the drops cleanse my heart today. Let me rinse my soul. Let me pick fragments today. Tomorrow let it take me whole. OMG!! that was great! !…but then I was no Shakespeare ???!! ….Sooooo I shook off the couplet and yelled at the top of my lungs!!! UNDER THE PINK UMBRELLA….OOO llllaa laaa! THERE THEY GO ROLLY & PAMELLLLLLLLAAAAAAAA!! !